This is Maggie. Maggie lives in South Korea. 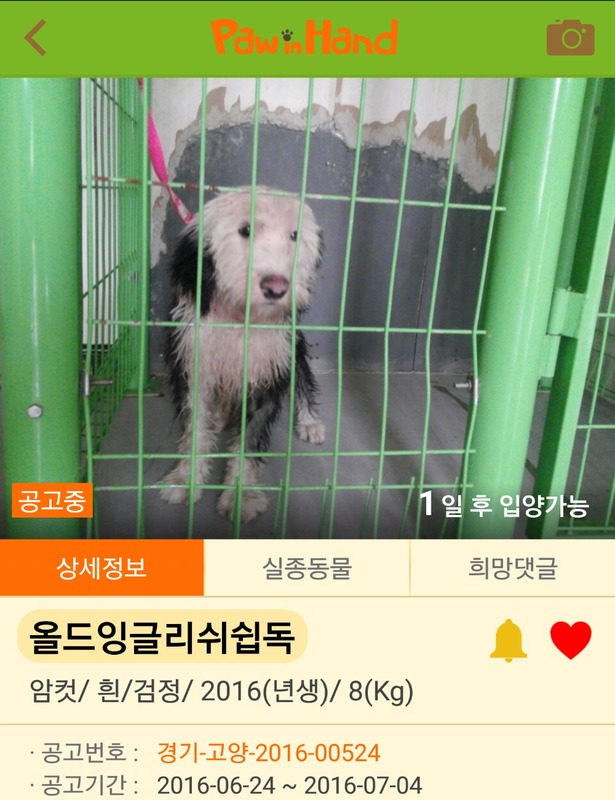 On June 24, 2016 Maggie was picked up off the streets and brought into an city kill shelter in Goyang. Unbeknownst to Maggie, whose original name may never be known. She was being watched on a smart phone app by a woman in Pyeongtaek. 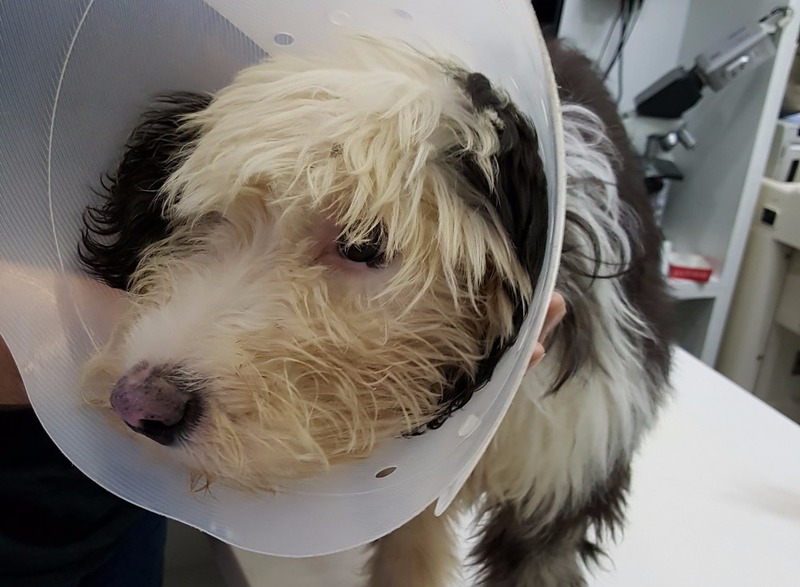 The woman was a foreigner and had already rescued an Old English Sheepdog from Busan and was watching the daily listings on the web app in her phone. When the woman saw Maggie, she knew she was perfect for her family. She would be the perfect addition as a playmate for her dog, Max. The woman asked for help on a local Facebook rescue group site and was soon met with a friendly face willing to act as a translator between her and the staff at the shelter. Little did Maggie know, she was soon going to have a home. The laws being what they are in Korea, Maggie was to wait 10 days for her previous owner to come in and pick her up and only if they failed to do so could she be adopted by anyone else. If more than one family showed up to adopt the puppy, there would be a drawing. There was much to be discussed as the trip would be so unfortunate to make if the family didn't come home with the pet they had thought about adopting. The woman and her family waited patiently, each day checking the app on their phones to see the timer go down from 10 days to 0 days. With each day, they began to love her more, even having never met her. BUT, the very day before Maggie was eligible to be adopted, she was viciously attacked by a large husky. 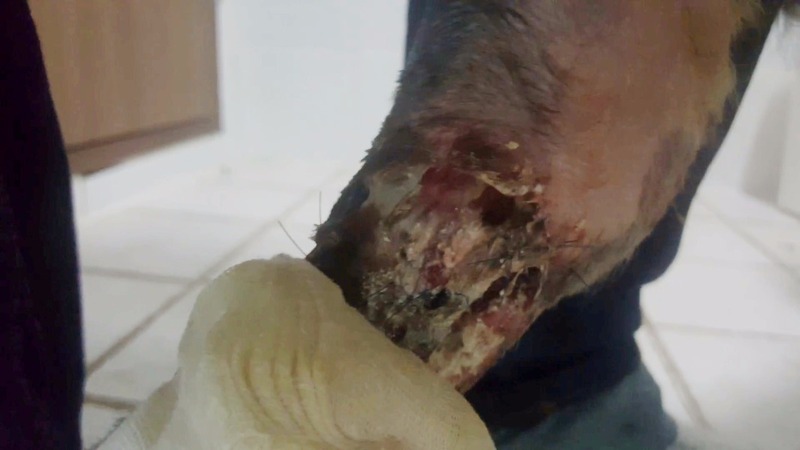 The dog aggressively lunged at her hind left leg again and again, tearing flesh, tendon and skin apart. The shelter felt so badly about the event that they attempted to stitch the leg together and put a cone around the little puppy's neck so she wouldn't bite at her wound. They decided that if no one could come to this dog's rescue on the 11th day that she would be put down. The shelter staff was convinced that no one would want such a badly injured dog. Maggie wasn't sure if she would ever see kindness again. On July 4th, the family that fell in love with her, decided to name the unknown Old English Sheepdog puppy, Maggie. 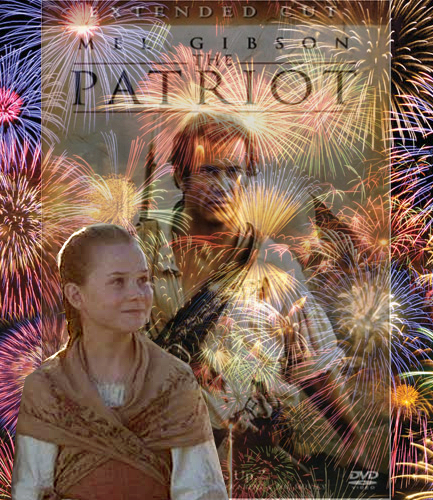 It was in honor of the American holiday and a nod to one the family's favorite movies, "The Patriot." They decided THIS dog was going to get freedom. On July 5, 2016 the woman and her seven children pulled out their money to go get the dog and packed up the van and headed out early to to beat the rush they expected for this lovable new puppy. When they arrived at the shelter, they were told no one else was interested, but, rules are rules; they had to wait until 3pm. When the time came to go inside of the shelter to adopt Maggie, the woman was informed about the bite to her leg. They were still certain that this woman, who had driven 2 hours to see this dog, was not going to adopt a "broken" dog. To the shelter staff's suprise, the woman cried and said, yes! She needs us more now that ever! She thanked the wonderful translator on the phone and signed the paperwork. Maggie had a family. Maggie had a name. Maggie had a home. The only difficult thing for this woman to write is that Maggie is now sitting in an animal hospital all alone. She's hooked up to IV's and tubes. She's scared. The family took her to the pet hospital to assess the damage and never did they expect to see such a horrible sight. The vet told the woman and her husband that the flesh had been ripped from the bone, but, that the bone had not been broken and that Maggie is a "lucky girl" to have her new family. The vet also told Maggie's new family that the fee for the surgical care would be $500 and that she would need another surgery after that. The family that loved Maggie now is being asked to provide $1,000 for her emergency care. Hi. I am the woman who Maggie gets to call her new fur-mama. Last month, we saw her on the Korean Pet app and had to adopt her. We set the funds aside to get her chipped and seen by a vet as soon as she got home, but, we never anticipated her attack. As it's an emergent need and she's SO new to the family that we had no funds set aside to cover such an extravagance and we're asking for your help to get our new dog the help she needs while we're just starting out our new lives together. 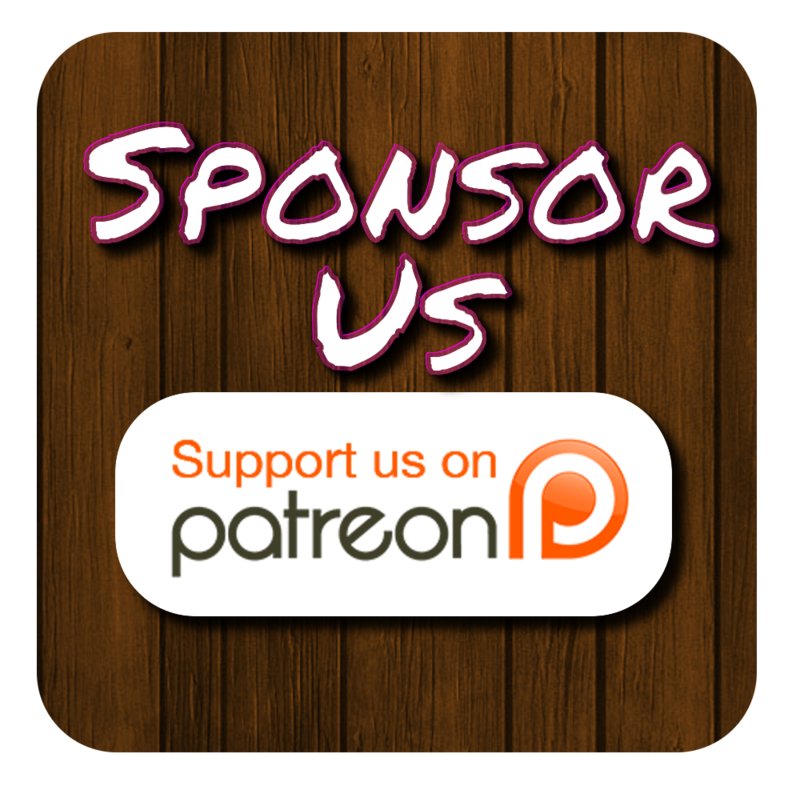 Maggie is being set up with her own savings fun to pay for any further medical care and we're only asking for the help because this isn't something we can put off until payday. You can help by donating, sharing and commenting so we can get our little puppy the life she deserves. You can even help by printing out this handy PDF file and posting it in common areas to get the word out about this little pup's story! 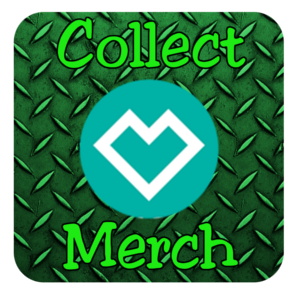 We're also selling The Endeavoring Family logo gear and all of the money that is being sent to us is going towards the care of our rescue pup.